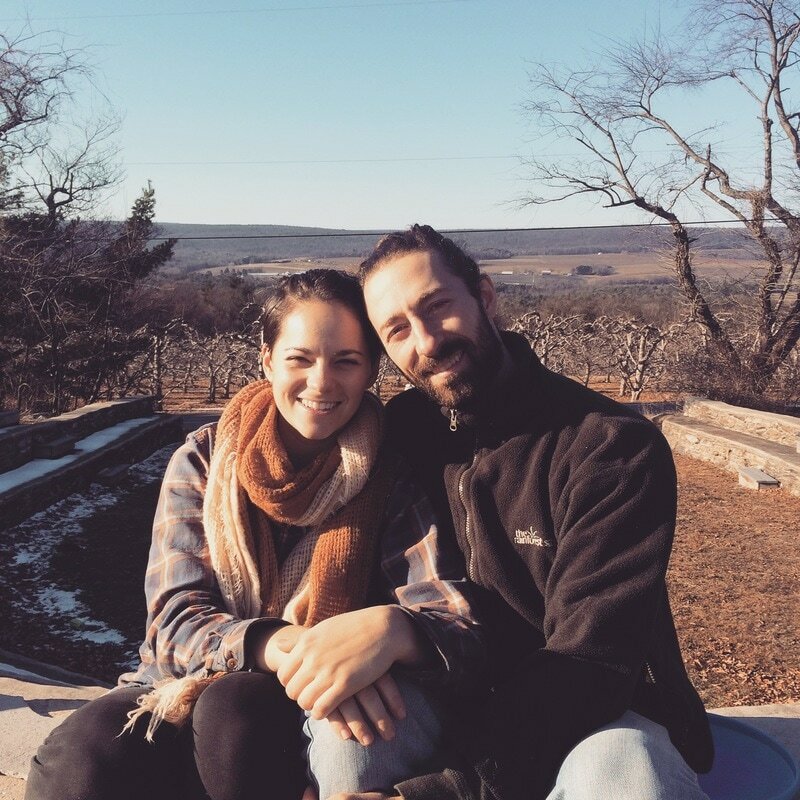 Ailsa grew up in Bristol Borough PA. She came to the world of farming in 2014 on her quest to live an ever more peaceful, honest, meaningful, and productive lifestyle. After five seasons and continual reflection, she believes that growing food (responsibly) is one of the best uses of her time. Not only is it an integral part of her overall mission to do much more good than harm, but it keeps her happy, healthy, and close with really awesome people (see below). ​In 2001, Brad began growing to be a part of a positive cultural movement. He sees small-scale organic agriculture as revolutionary. He feels at home playing outside in the soil and loves the flavor that comes from truly fresh, nutrient-rich foods. After growing everything from microgreens to mangos in Hawaii, New York and at multiple farms in PA, he made his way to Snipes Farm in Morrisville. 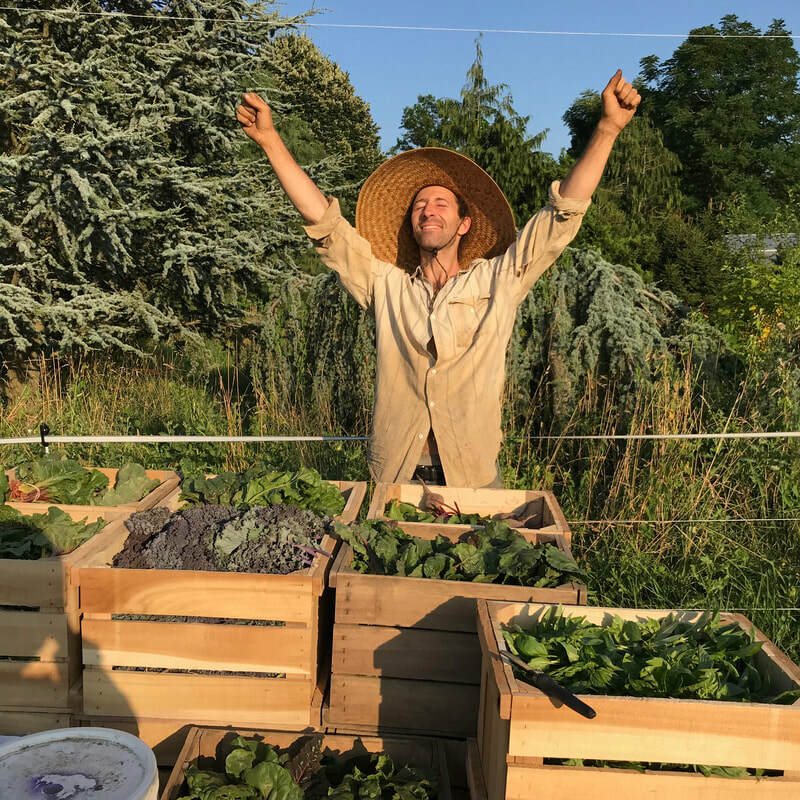 Having developed and managed the vegetable CSA program and over 3 years converted the orchard with organic practices there, he is super stoked to have this operation with Ailsa on the land he has come to know and love. We grow and eat our feelings! It is our mission to grow a more peaceful, meaningful and productive existence for ourselves and those around us. Providing our community with nutritious, fresh and locally grown produce with a connection to the land and their farmers is an absolutely vital part of this process. ​ Blessed and plagued as we both are with thoroughly contemplative dispositions, we seek to use peaceful, sustainable, resourceful, and respectful practices in all aspects of our lives. We have grown for 14 years on the land we use now, and although we are not certified, our vegetables are grown with standards far surpassing USDA "Organic". We believe that healthy land grows healthy food and healthy people. We are a pair of ecologically sensitive growers with respect for biology in mind and practice. We do not spray any synthetic inputs in or around any of our growing fields. Compost, cover crops and rotational grazing feed our soil and our food. We believe that eating locally from small scale organic growers is the best way to eat. It's the healthiest. It's loads better for our environment. It bolsters our local economy and helps to protect worker's rights and animal welfare. It only gets better if you grow it yourself! We hope that you will choose to eat locally with us and other committed farmers!